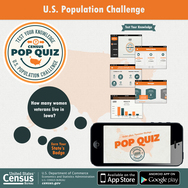 The U.S. Census Bureau today released Census PoP Quiz, a new interactive mobile application that challenges users’ knowledge of demographic facts for all 50 states and the District of Columbia. 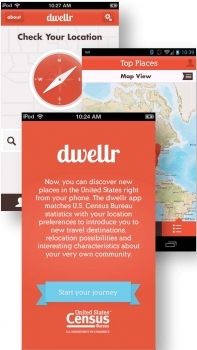 The new app, which draws from the Census Bureau’s American Community Survey, aims to raise statistical literacy about the U.S. population. Census PoP Quiz provides an introduction to the statistics that define our growing, changing nation and is a great way for everyone to learn facts about all 50 states, the District of Columbia and the nation in a fun, relevant way. With each state challenge completed, users will earn a badge to show their knowledge of various state demographic characteristics. After earning badges from every state, the app will unlock the final U.S. challenge. Throughout the quiz, players can share their badges on social media sites including Facebook and Twitter. Challenges that test knowledge of topics such as population, housing and commuting. Questions that span locations in all 50 states and the nation’s capital. Badges to share with contacts via social media connections. 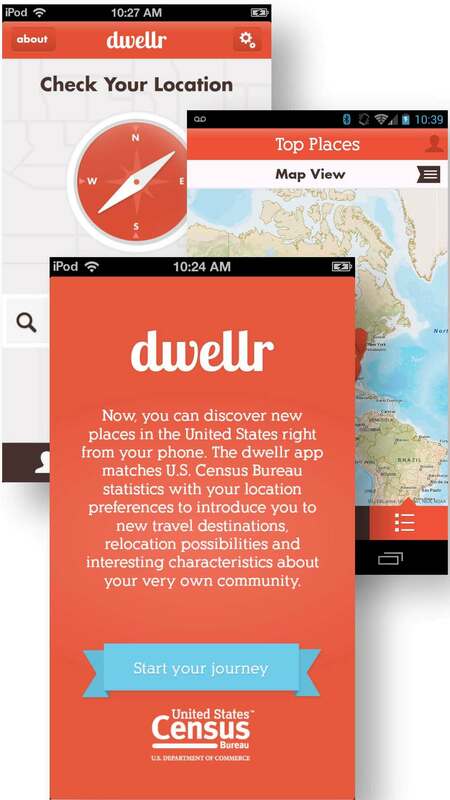 Census PoP Quiz is the third in a series of Census Bureau mobile apps. The mobile initiative is one example of how the Census Bureau is working to make America’s statistics available anywhere, anytime to everyone and on any device — consistent with the Department of Commerce’s open data priorities and the federal government’s Digital Government Strategy. Two years ago, the Census Bureau launched its application programming interface (API), giving developers access to a variety of high value data sets, including our flagship 2010 Census and American Community Survey five-year statistics, providing information for every neighborhood in the nation. Since that initial launch, we have added key economic indicators, as well as the 1990 and 2000 Censuses, and additional American Community Survey data and key economic indicators. By continuing to release new data sets into the API, and adding more of the Census Bureau’s rich economic statistics to our demographic products, we are giving developers greater flexibility to create new tools to better understand our communities and solve real world issues. Recently, we released even more data sets to the API. These include population estimates, establishment and payroll data from county business patterns, nonemployer statistics, and the latest statistics from the 2012 Economic Census. These statistics allow developers to create a variety of apps and tools, such as ones that allow business owners to find the latest establishment data needed to plan for new or expanded business. We are continuing to work toward meeting the goals of the Digital Government Strategy for a more “customer-centric” approach. For example, the Census Bureau partnered with Data Innovation DC, a Washington, D.C. meet up group of 1,000 members composed of data scientists, data journalists, civic hackers and data-oriented entrepreneurs, and participated in this year’s National Day of Civic Hacking. We asked real-life data users to discuss their data-related problems. By directly engaging with our customers, we can develop strategies to make our statistics easier to use so that customers can make data-driven decisions. We will continue searching for ways to make more of our data available for developers to build apps that make our public data more accessible anytime, anywhere and on any device. By taking part in both local and national “civic hacking” events, we hope these relationships will help us to build stronger ties with our customers while reaching new audiences with our statistics. I encourage you to visit our API, look for ways to combine our statistics with other sources, and create useful apps that will benefit the public. We look forward to what you will create.